ibVPN is an online VPN service provider that has been supplying quality services to its customers in the form of their high-end VPN accounts. It is currently functioning and has more than 150 servers in USA, UK, Germany, Netherlands, Canada, Russia, France, Switzerland, Romania, Sweden, Hong Kong, Spain, Italy, Panama, India and a few more countries. With their unique features and reasonable pricing, ibVPN has already earned a lot of recognition around the world. Their services include the following. · They have enabled PPTP, L2TP, OpenVPN and SSTP system for their users. · When the users login using their VPN accounts, no log is saved into their system, giving the users the highest possible security. · There is no traffic limitation for web surfing or downloading. Users can use unlimited bandwidth with their system. 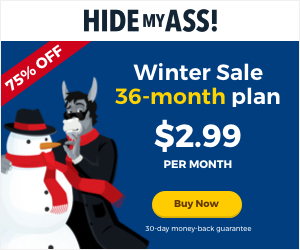 · Their VPN service allows the users to make unlimited switches to any of their servers while using their connection. · The speed level of a particular connection remains the same even when the user uses ibVPN instead of his primary connection. · By using their connection, the users can access to websites or live TV channels that are restricted within their country. Famous websites such as Facebook or Youtube can easily be accessed when using ibVPN. · They offer free trial period to their customers before selling the actual product, and they also have a 15-day money back guarantee for them. · Their VPN service includes dedicated torrent and file sharing servers for their users. · They provide free software to users who sign up for their program, and the software is user-friendly and is can be easily be started. · Their system is compatible with all major platforms, and is also available for smartphones, so that the users can prevent unauthorized access to their private data when surfing internet using Wi-Fi hotspots. Although ibVPN’s VPN service provides what it promises, yet it isn’t completely free from negativity. There are a few features that might cause inconvenience to some of the users. They are as follows. · Their website does not have clear instruction on how to start with the program. · Often the implied 24/7 is not actually available as they claim, and users find it difficult to find support for the problems with their VPN accounts. · They keep the log of activity of the users for ten days before deleting them, and anything can happen within this short span of time. · Although their OpenVPN connection was way faster, the same cannot be said in case of L2TP connection, which is, in fact, much slower than the former. · The Netherlands and Luxembourg servers’ response time is much slower, causing problem for the inhabitants of the two countries. As stated before, ibVPN tries heart and soul to provide the best VPN service in exchange of the hard-earned money of their users. They have maintained the quality of their VPN accounts so far even after charging low price for them. They accept all sorts of online payment methods, and also accept PayPal. Below is a complete list of their pricing. o Ultimate VPN, with all features available included. ibVPN is a growing online business that does not only provide proxy servers, but also ensures complete anonymity to users who use their VPN accounts. With a motto to change the concept of virtual safety and to enhance the online security, they are exerting all their efforts to provide the best VPN service in the world.